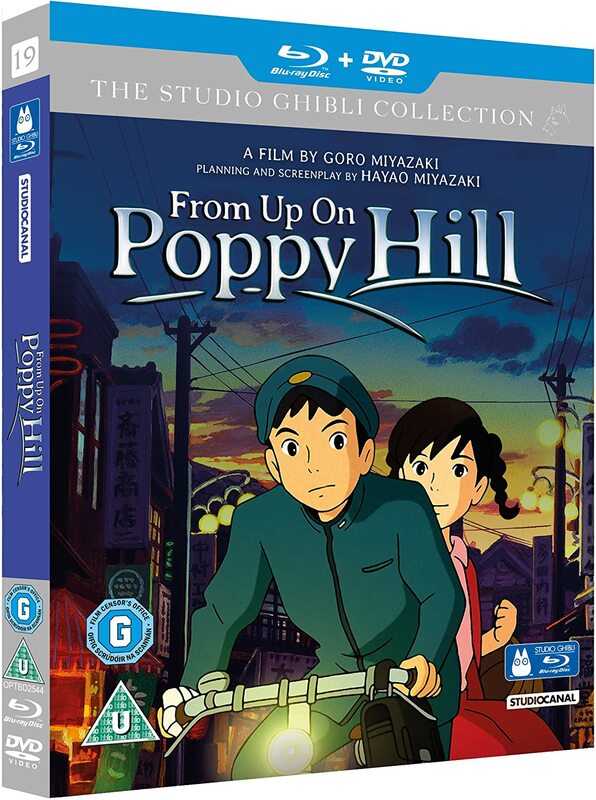 My thoughts This isn't a typical Studio Ghibli film. It isn't a fantasy film. There is no magic. It is heavily grounded in reality. Perhaps that's why some people consider it weak or unsatisfying. I beg to differ. I really like this film. Maybe it's because I'm a sentimentalist. Or just because I was in the right mood when I watched it. Should I watch it with the original Japanese audio and subtitles, or with the English dub? Well, usually I don't like to watch movies dubbed. But I'm also lazy. For live action movies I will usually go for original audio. Replacing the onscreen actors voice seems a bit insulting. But in animation the character on the screen doesn't have a voice of its own. It's always a “borrowed” voice, so replacing it – if it is done with style – isn't so wrong. And in this film it is done with style. Admittedly I did not know this in advance, so selecting to watch it with the English dub was a bit of a gamble. The animation is... Ghibli. Well, if you've seen other Ghibli films you know that they have a special look. It's anime, but it's Ghibli anime. You like it or you don't. I like it. I'm not a huge anime fan in general, but I do like Ghibli's films. Not all anime fans will like this film as much as I did. I liked it a lot. Give it a chance. Overview Matt Masters (John Wayne) is a circus owner who has to start from scratch when his ship sinks in the Barcelona harbour. Starting up a Wild West act, he takes under his wing Toni Alfredo (Claudio Cardinale), a trapeze artist whose mother Lili (Rita Hayworth) has abandoned her. Seeking Lili out in a Hamburg bar, Masters obtains her a job in the circus anonymously, so that she can get to know her daughter. My thoughts Samuel Bronston + Henry Hathaway + John Wayne = A great film, right? Well, that's what I thought when I went to see it the opening week in London in July 1964. Unfortunately it's not a great film. It's hardly even a good film. I wouldn't go so far as to say that it's a bad film, though. The main problem with this film is the script. Plus it's too long. It takes a good script to sustain a movie for 2 hours and 15 minutes. And with the exception of the fire sequence, this film is not very exciting. The capsizing of the circus ship is nicely done, but unfortunately comes off as rather unrealistic, I think. Several plot point are just left unfinished or unexplained. Who put up the poster and the article in Cardinale's wagon? How did the fire start? What happened with the lion tamer was talked into switching to tigers by his wife? Most of the actors are OK, but John Wayne doesn't get much to do. No fights, no shooting (except show shooting). Rita Hayworth doesn't appear until an hour into the film. Claudia Cardinale looks gorgeous, but it's a bit hard to understand why her character would sport a French accent if she had grown up with Wayne in the US. Seeing it again 50 years later with lower expectations I find it moderately entertaining. Three stars is probably more than it deserves, but I'll give it that because I liked Claudia Cardinale so much. Overview After conquering the Borscht Belt and Broadway, David Daniel Kaminski (Danny Kaye) got the nod from maverick impresario Samuel Goldwyn and under his tutelage soon mastered the movies as well. Kaye makes his feature film debut alongside Dinah Shore in Up in Arms (1944) as a hypochondriac war hero. Virginia Mayo gets paired with Kaye for the first time in Wonder Man (1945), which features one of his signature cinema schticks – multiple roles in the same film. Kaye plays twins with a twist: one of them is a ghost! The Kid from Brooklyn (1946) sees Danny playing a milquetoast milkman who masters the squared circle and romances a nightclub nightingale (Virginia Mayo). A Song Is Born (1948) see Howard Hawks reenvisioning his classic Ball of Fire as a superstar Jazz musical, with Kaye in the Gary Cooper role and Mayo in the Barbara Stanwyck role as the moll who sweeps several professors off their feet. My thoughts Danny Kaye's first feature film leaves something to be desired. The script is corny to the extreme, and Danny's routines are still rough around the edges. That said, there's still a lot to enjoy here if you are a Danny Kaye fan. Maybe I'm being harsh giving it just 2.5 stars, but I feel that his later films are so much better that I cannot in all honesty give it more. For an example of Kaye at his comedy best, see The Court Jester. For Kaye in a non comedy role I would suggest The Five Pennies. This one is OK if you're a fan of Kaye or Dinah Shore, though. Always loved Danny Kaye films while I was going up. Good simple clean fun. Also fun in Has Christian Andersen .. doubt that it was 'true to life' as even the beginning of the movie says it isn't real life or some such. Again just good fun. Overview Like Sylvester Stallone’s Rocky and Rambo, the hero of Cobra is another original: Lt. Marion Cobretti, a one-man assault force whose laser-mount submachine gun and pearl-handled Colt .45 spit pure crimestopping venom. Director George P. Cosmatos (Rambo: First Blood Part II, Tombstone) rejoins Stallone for this thriller pitting Cobretti against a merciless serial killer. The trail leads to not one murderer but to an army of psychos bent on slashing their way to a “New Order” – and killing the inadvertent witness (Brigitte Nielsen) to their latest blood spree. Fortunately, Cobra is her protector. And full-throttle screen excitement doesn’t get any better. 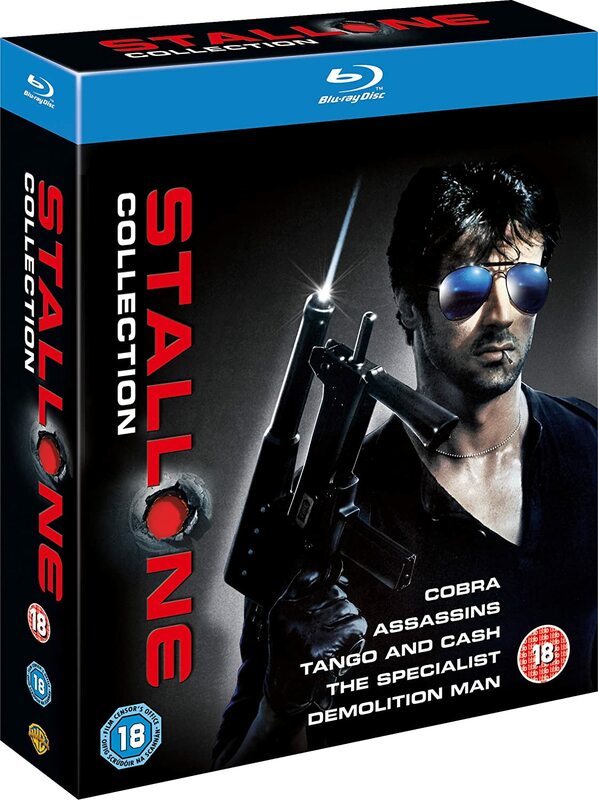 My thoughts Cobra is Sylvester Stallone's attempt to recreate Dirty Harry in the eighties. He took the basic premise from Paula Gosling's novel “Fair Game” and wrote a screenplay for himself to star in. It's been a long time since I read the book, but from what I can tell Sly kept almost nothing from the book. As far as I'm concerned, he could have written the screenplay so no one, not even Gosling herself, could have guessed that there's where he got the idea. To play it safe, they cast Reni Santoni as Cobra's partner. Yes, the same Reni Santoni that played Harry Callahan's partner in Dirty Harry. And Andrew Robinson is in there, too. Not as the killer this time, but still as an opponent within the force. By the way, Cobra is really named Marion Cobretti. Marion also happens to be John Wayne's real life name. Coincidence? Or does Sly think of himself as Clint Eastwood and John Wayne combined? But Sly is no Clint Eastwood (or John Wayne) and George Pan Cosmatos is no Don Siegel. And Brigitte Nielsen is no... Well, there is no real counterpart to her in the Dirty Harry movies. I was tempted to write “Brigitte Nielsen is no actress”, but maybe that's a tad harsh. Let's just say that the only awards that she has ever been nominated for are the Razzie Awards, and let it go with that. The one area where Cobra shines is in its stunts. I guess the producers must have told stunt coordinator Terry Leonard to go all in. Cobra has fights, shoot outs, high falls, car chases, motorcycle stunts, fire stunts. You name it – it's in there. And it's good, even though it gets a bit much when Cobra keeps shooting biker after biker after biker and yet they keep coming. But Cobra isn't a total loss. It's quite entertaining and at times quite thrilling. Upon first viewing on DVD many years ago I gave Cobra 2.5 stars. Seeing it on blu-ray now I think I was too harsh, so I've upped it with one more star. It's certainly no masterpiece, but if you just sit back and don't think too much, it's quite decent entertainment. My thoughts Well, this was definitely a big step up from Up in Arms. Danny Kaye's second feature film shows him in a much better form than the first. The only thing that I didn't particularly like was the Otchi Tchorniya number. There is a thin line between silly/funny and silly/annoying, and for me this number crosses that line. That's the only thing that prevents me from giving this film 4 stars. Not only does this film have a vastly superior script to the previous one. It also has vastly superior female actors. Vera-Ellen is very good, but I absolutely love Virginia Mayo. She would come back to star against Kaye in three more films; The Kid from Brooklyn, The Secret Life of Walter Mitty and A Song is Born. She was actually also in Up in Arms, but only in a small uncredited role. Also, whenever I see a credit like “Special Photographic Effects by John Fulton” I sit up and take notice. Fulton worked his magic in well over 300 films from 1931 to 1968. He made The Invisible Man invisible, and helped Moses part The Red Sea in The Ten Commandments. And here he helps Danny Kaye play against himself in the double role of two identical twins. Today this is child's play, but back in 1945 it was an accomplishment. There are several other supporting actors that help make this film so enjoyable, like S.Z. “Cuddles” Sakall, Allen Jenkins and Edward Brophy. Here's another Cobra vs Dirty Harry similarity: Cobra starts with Sly taking out a bad guy in a store. One of the Dirty Harry films starts with him taking out bad guys in a store. I don't remember which film it is. I think it might be The Enforcer. And yes, when you're in the mood for action, most of Sly's movies are quite enjoyable. I like Nighthawk, too. And the Death Wish quintology (?) as well. Bronson was almost always enjoyable, even if he mellowed a bit in his later years, with the made-for-TV Family of Cops movies. I too agree with your review of Cobra. It's an entertaining film, even if not a good film. I own the Blu-ray myself. I think it's a restaurant? It's where the famous line "Make my day." is used. I quite liked Nighthawk myself. Rutger Hauer makes a good baddie and I remember that I was quite entertained by it. I only recall seeing the first Death Wish in full. I may have seen the beginning of a later one, but probably turned it off because it was just too average, if not stupid. Is the first one (or any other) something I should own? No, "Make my day" is from Sudden Impact, and that's not the scene I was thinking about. This one has Harry driving through the front window of a shop in order to take out two or three crooks holding people hostage. I may have to dig out my blu-ray box set to check which one it is, but I'm 99% sure it's one of the Dirty Harry movies. As for the Death Wish movies, I guess I'd say that the first one is the one that's essential. If nothing else, it has Jeff Goldblum as a really nasty looking punk in one of his earliest roles. I haven't seen #2 in a real long while, and I'm not sure I've seen #4 ever (got that one on backorder on BD for about $6). I guess they ran out of punks, so in the last one he goes after "real" crooks instead. I guess these films are ok if you like vigilantes. And I'm ok with vigilantes as long as they are in movies and not in real life. Overview Tom Hanks and Emma Thompson bring to life the untold true story about the origins of one of the most treasured Disney classics of all time. John Lee Hancock (The Blind Side) directs this acclaimed film, which reveals the surprising backstory behind the making of Mary Poppins. Determined to fulfill a promise to his daughters, Walt Disney (Hanks) tries for twenty years to obtain the rights to author P.L. Travers' (Thompson) beloved book. Armed with his iconic creative vision, Walt pulls out all the stops, but the incompromising Travers won't budge. Only when he reaches into his own complicated childhood does Walt discover the truth about the ghosts that haunt Travers, and together, they set Mary Poppins free! My thoughts When I first heard of Saving Mr. Banks I thought it sounded mildly interesting. 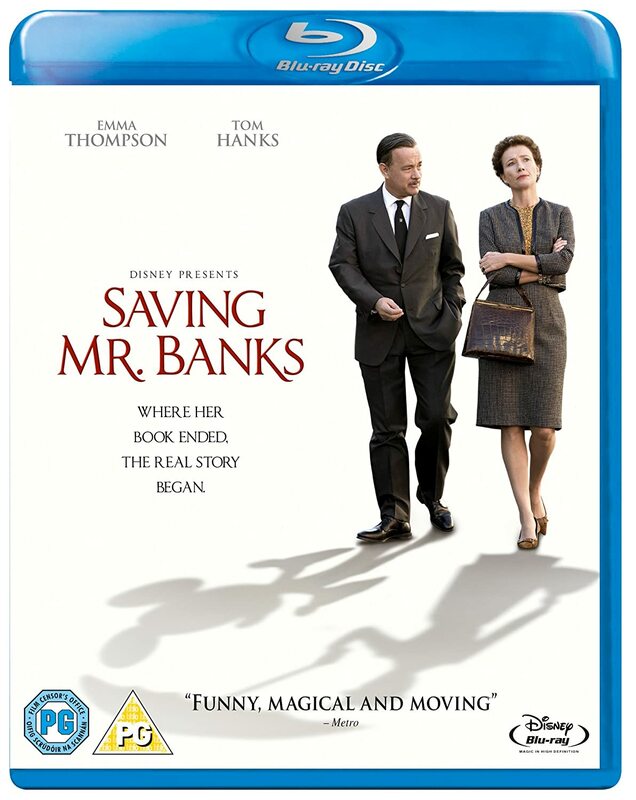 And since I loved Mary Poppins (the movie, that is) I felt I should see Saving Mr. Banks. Well, I have to admit that it turned out to be a lot better than I expected. From what I have heard, it seems that the filmmakers have used artistic license quite a lot. So maybe Walt Disney wasn't quite as lovable as this film makes him out to be. And perhaps Mrs. Travers wasn't as pleased with the finished product as is implied here. But the fact that the film is fictional to some degree doesn't make it any less enjoyable. The film is full of great performances. Emma Thompson is great in what must have been a very difficult role. Tom Hanks is good as usual. Annie Rose Buckley is wonderful as young Helen Goff (P. L. Travers' real name), nicknamed Ginty, and Colin Farrell is a truly positive surprise as her father. In order to hold my attention for over two hours, a film has to be really good. This one clocks in at 2:05, and it never felt long at all for me. Very highly recommended! A lightweight comedy marred by some unnecessary musical numbers. The script is weak but the cast is strong. Virginia Mayo is as lovely as ever. Vera-Ellen is fine but underused. Gravely voiced Lionel Stander repeats his role from The Milky Way (1936), of which this is a remake. Now, I have nothing against musicals. In fact, I like them a lot. Providing the musical numbers are there to help the story along. I don't like them when the numbers seem inserted without any better reason than being time fillers. And that's what they mostly feel like to me in this movie. The story is amusing, but way too predictable to be great. This movie is worthwhile if you like Danny Kaye and Virginia Mayo. If not, you'll probably get bored quite soon. My thoughts The fourth and last film of the Goldwyn Years box set, A Song is Born, is the best film of the four. Unlike The Kid from Brooklyn, the musical numbers are well integrated in the script and don't feel forced at all. The script is great, based on a story co-written by Billy Wilder, and the music is performed by some of the best musicians of the time. The film is directed by Howard Hawks, easily the best of the four directors, although Norman Z. McLeod, who directed The Kid from Brooklyn, was no slouch either. Unfortunately, The Kid was one of his weaker efforts. With more moderately talented actors this would still have been a good movie, but Danny Kaye and Virginia Mayo lift it up another notch. Oh, Virginia Mayo's smile melts me like butter in sunshine. For me, this film is up there with The Court Jester and The Secret Life of Walter Mitty when it comes to Danny Kaye comedies. Very highly recommended! Overview A 747 travelling from Athens to Washington DC is hijacked by a group of terrorists. They claim it is to force the government to release their leader, but covert intelligence man David Grant doesn't believe it. He tries to persuade the autorities to keep the plane out of US airspace while a rescue mission is put together. My thoughts I got this as part of a Steven Seagal box set. 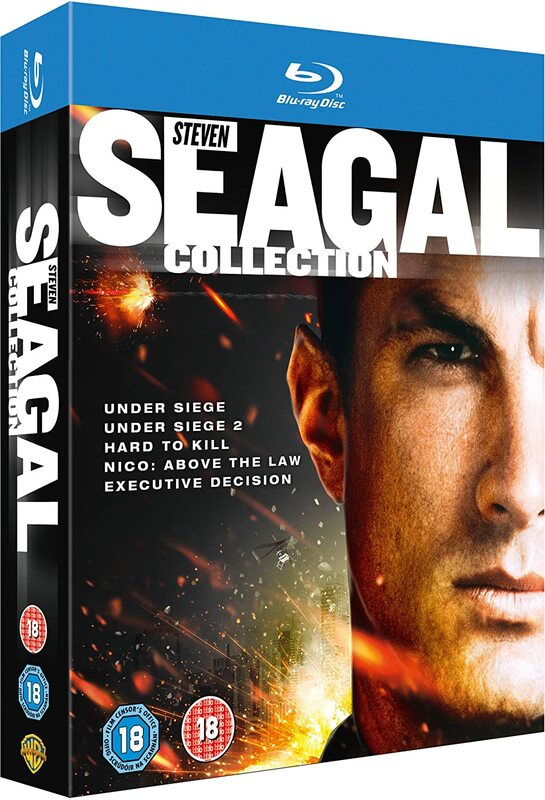 That's a bit funny, because this is not a Steven Seagal movie. He is in it, but only in a supporting role. In fact, he is not even credited in the opening credits. He gets second credit in the end credits, though. Strange! This is a Kurt Russell movie. And a pretty good one, at that. Sure, the whole plot is a bit contrived. Transferring a group of commandos from a stealth fighter to a 747 midair without the bad guys aboard the plane noticing anything. But hey, in an action movie you have to allow for some suspension of disbelief, right? And for me that works up to the finale. Then the last of the bad guys manages to shoot both pilots so Russel, a novice pilot, has to land the big plane all by himself. That was the “oh come on” moment for me. That's such a cliché. But I try to overlook that (and I like Halle Berry), so I'll give it 3.5 stars anyway. Executive Decision is a very fun film and Kurt Russell is good (though not as good as Captain Ron or Big Trouble in Little China ) Russell is just a very good actor. But it is odd that it was in a Segal collection .. what were they thinking?